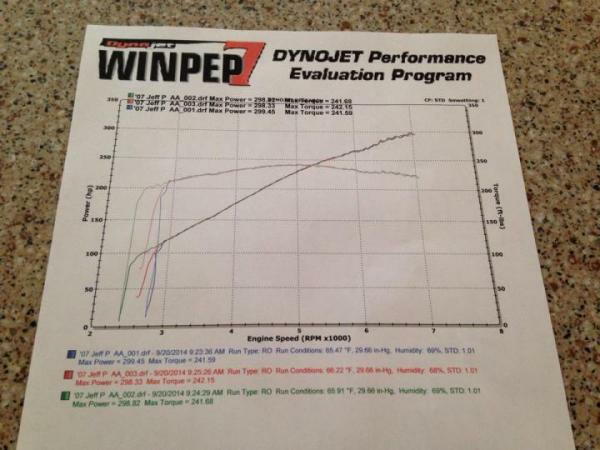 Hey guys, I finally got to dyno my most current setup.... 299whp 242wtq!! - NGK BKR7EIX Plugs gapped @ 0.031"
- OTTP Gen 4 H.E. 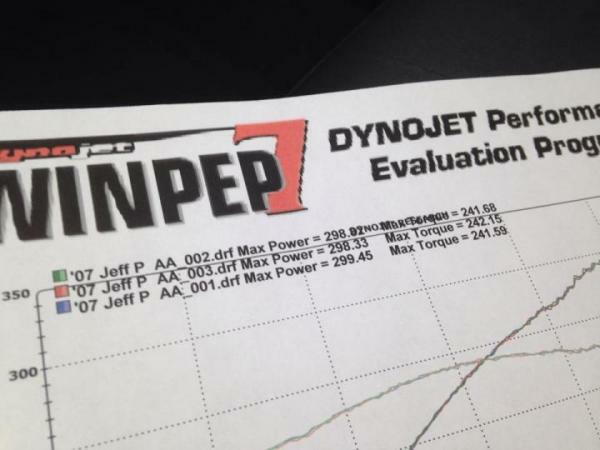 I forgot to tell the dyno operator my rev limit of 7.5k rpm, so he was letting off shortly after 7k rpm. BUMMER!! I'm thrilled with the power she made on a GMR & GMPP parts build. Not to mention, how consistent the car was through each pull. All pulls were back to back. Last edited by Staged07SS; 08-11-2016 at 11:36 AM. lol yup!! Damn that .05!!! I'm still very happy though. Nope. Pulley down is not the answer. Neither is an Hptune. I have one last trick to put her well into the 3's. Last edited by Staged07SS; 10-10-2014 at 10:29 AM. Impressive numbers! Especially for the pulley size. That's a sweet setup man! Good to see nice numbers on gm parts! Nope. Pulley down is not the answer. Neither is an Hptune. I have one last trick to put her well into the 3's. I wanna see what the h62 will make when pushed hard! Youre the only one here who has one. Just do it for the numbers and go back to gmpp parts. I will not deviate from my GMR build. Sorry. and yes, a 50 shot will be added. My build is for efficiency, and an all around strong street car. I know your going after the time attack build correct? keep trucking bro. thats a very sweet setup man. id kill to have your car. Yes, my car follows a lot of Time Attack/build book engine work. I've ran the OTTP HE for 4 years now w/o an issue, and great IAT2's/recovery. At the time, Griffins were hard to come by. If an issue were to occur, a Griffin will replace it. Last edited by Staged07SS; 09-22-2014 at 12:27 PM. haha, nice! You have always touted around those 42#'s and well it seems that they have served you well! Very nice numbers for such a conservative setup. happy for ya man! VERY NICE! If You got 2.8 pulley with meth then I'm sure you will be in about 325hp. Finally!!! Daym man great numbers! Quick Reply: Staged07SS finally goes to the dyno!